Do not trust the name. 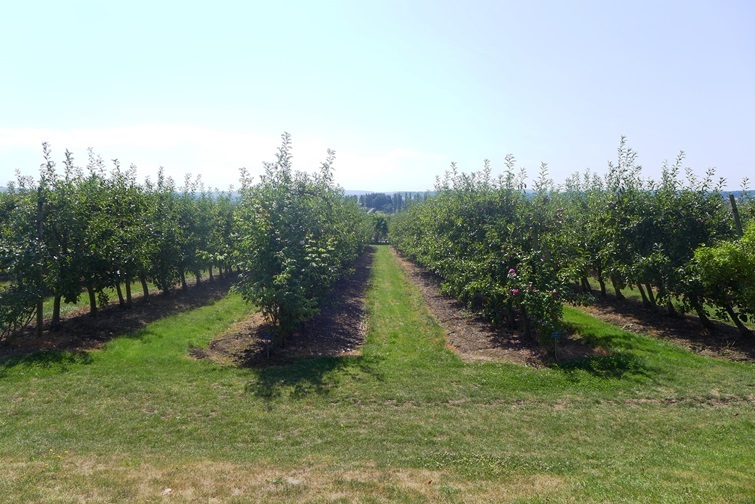 The “Fruit gardens” of Laquenexy, in North-East France are much more than a fruit garden. 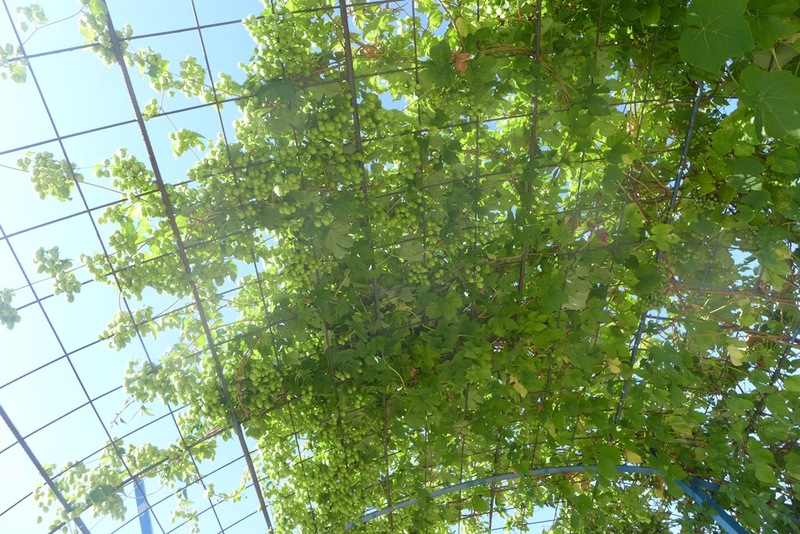 Created in 1904 by German scientists (that part of France, Alsace-Moselle, had been annexed by the Germans in 1870) to trial new grape varieties, the gardens diversified and evolved into a renowned horticultural research center over the 20th century. 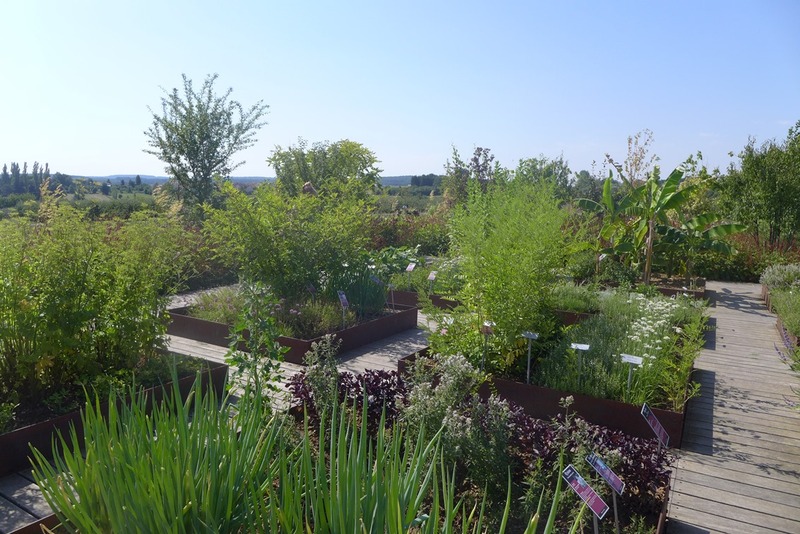 In 2004, the local authorities decided to transform the gardens into a visitor attraction, dividing the land into 18 themed gardens, all united by a common topic : “flavors”. We then entered the Labyrinth, an interesting (although not very challenging!) 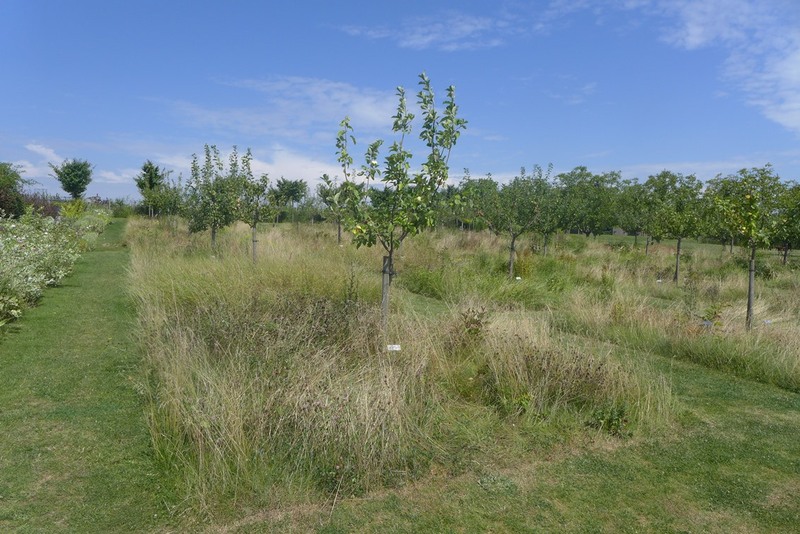 maze where the walls have been created using traditional and less traditional fruit trees training systems, such as a circular one (left) or the counter-espalier technique, pioneered at Versailles Palace (right). 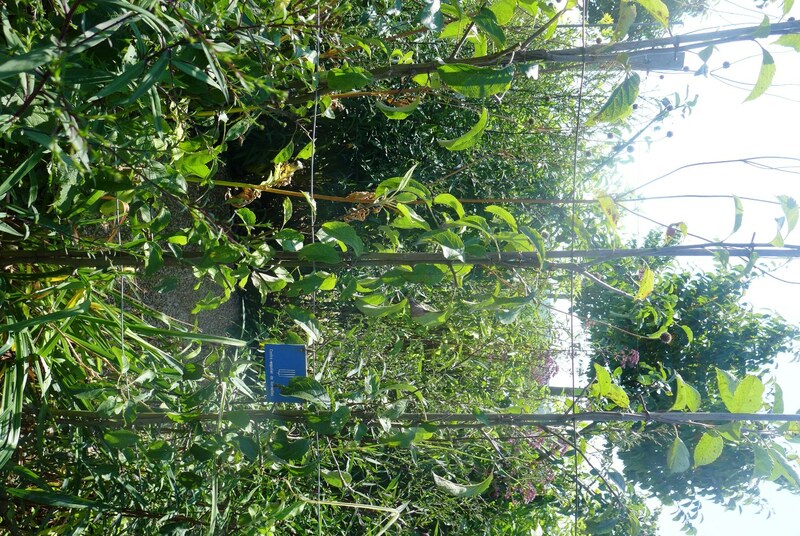 The “Garden of Senses” displays plants with peculiar properties that will tickle your senses. The Obedient Plant (Physostegia americana), a North American perennial, has “obedient” flower stems, which stay put once bent in a specific direction (making it popular for flower arrangements). 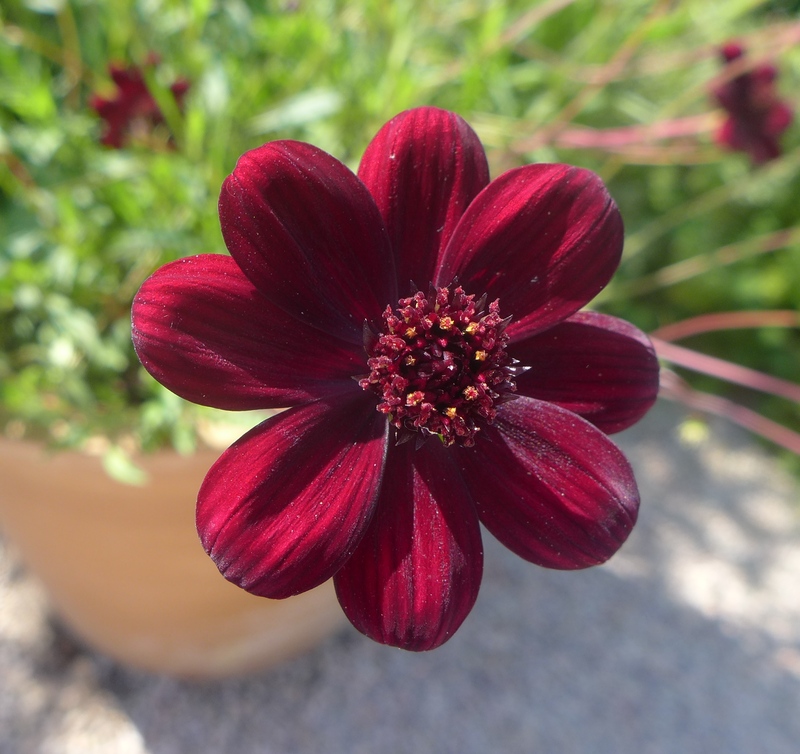 The Chocolate Cosmos (Cosmos atrosanguineus) is an unusual looking daisy with chocolate-coloured and chocolate-scented flowers…hmmm! The designer has been playing with colours, creating a contrast between the white flowers (Cosmos, Campanula, Phlox), the yellow and blue foliages and the dark, almost black rosettes of Aeonium ‘Schwarzkopf’. I’m not usually fond of “white gardens”, but I thought this one looked refreshing. 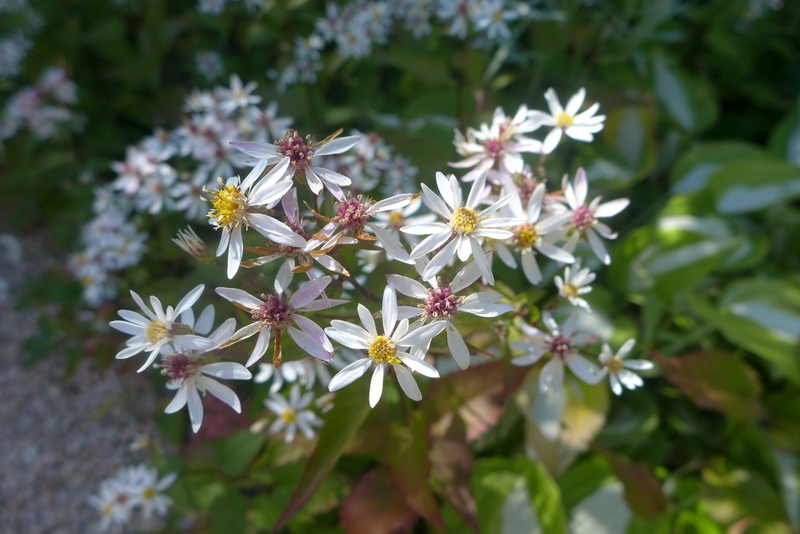 A nice discovery, Aster divaricatus (it might just be me, but the foliage and habit strangely remind me of an Epimedium?). This is a North American woodland species perfect for shady places. 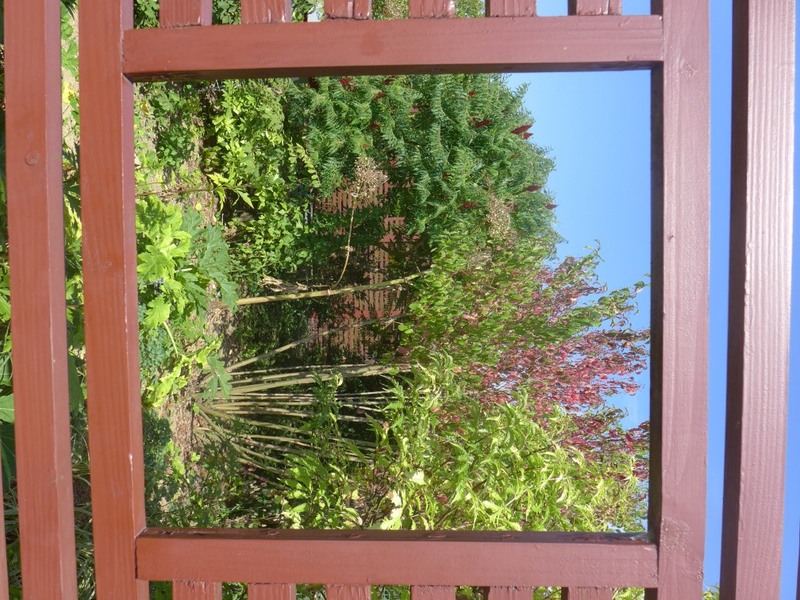 Next was the “Exhibition Garden“, which left me be a bit puzzled. 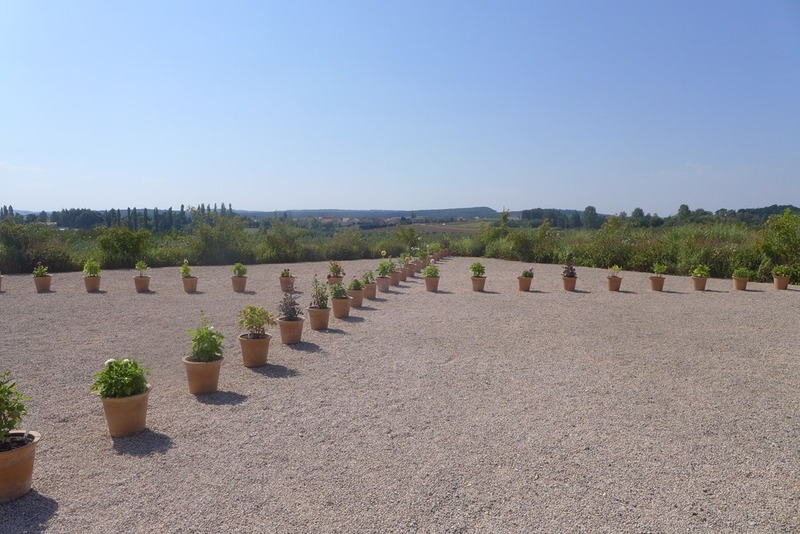 I presume there must be some conceptual talk behind it, but there was surely a better way to display a (nice) collection of Dahlia cultivars than this sad-looking diagonal arrangement? The “Cucurbits Tunnel” is a shaded relief displaying all sorts of gourds and squashes, but also climbing plants, such as hops. The bottom of the tunnel is planted with a collection of Hostas. 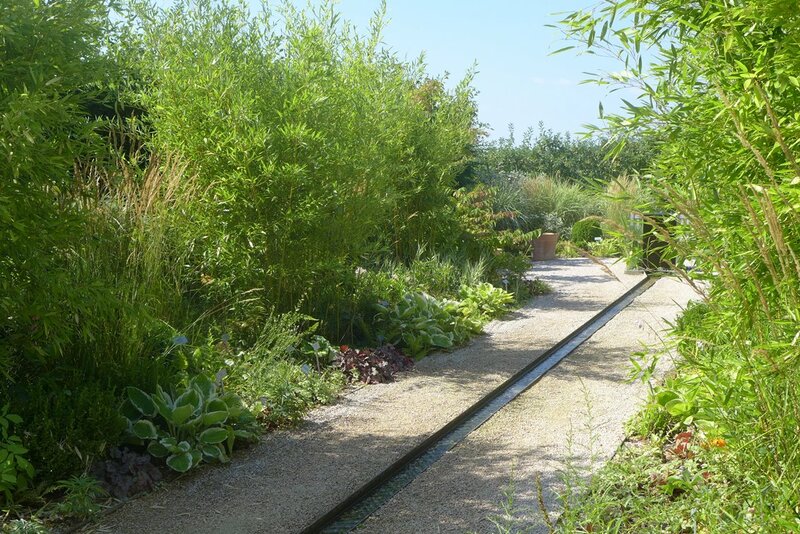 The “Gravel Garden” showcases plants of dry environments such as cacti and succulents, mixed with grasses and dry-loving perennials. I particularly liked the next one, the “Forbidden Garden“, which is home to toxic, dangerous or even lethal plants…interesting! 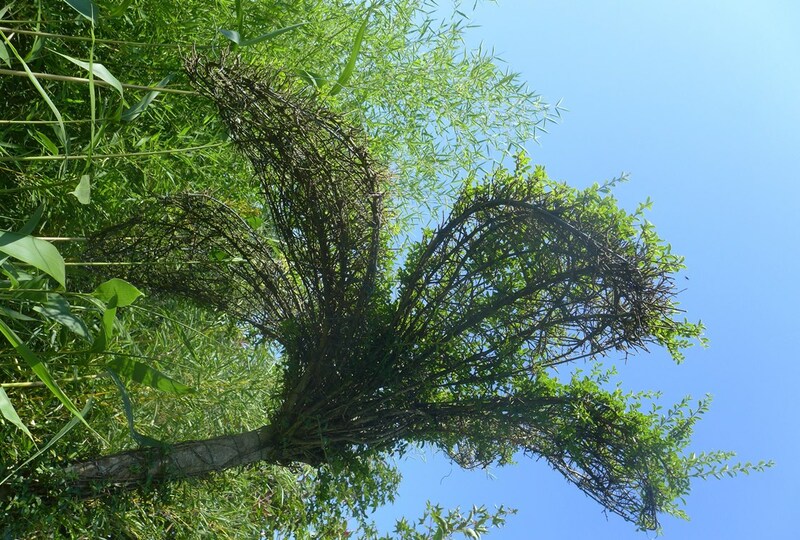 They are displayed in a Japanese-inspired wooden cage, with viewings holes at several heights. Picking up leaves or fruits and tasting is forbidden, which seems very cruel in a “garden of tastes”. Like all good French people, needless to say I didn’t comply with that rule! 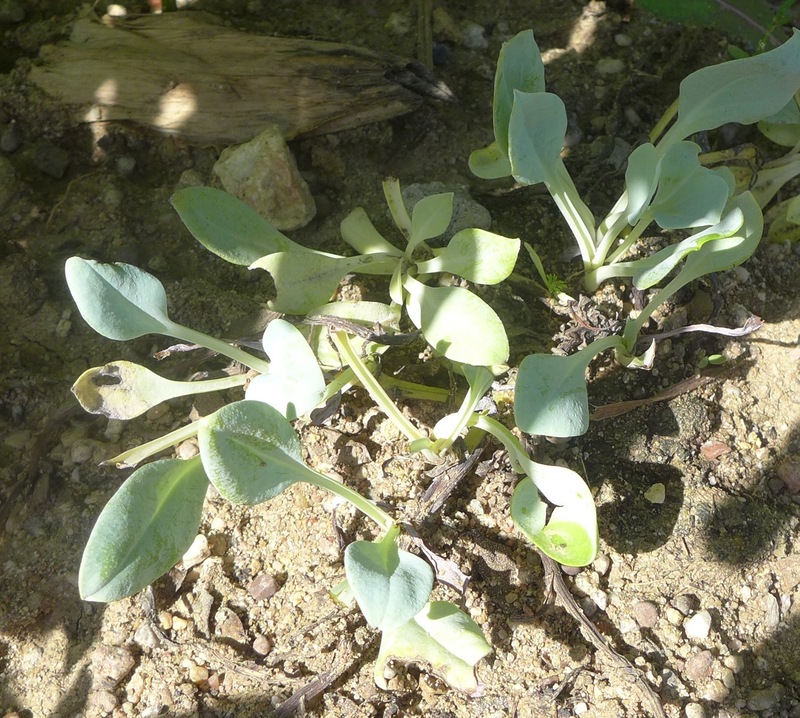 I had the chance to try the amazing Oysterleaf (Mertensia maritima), a borage relative with thick blue leaves tasting just like oyster flesh. Dried berries are a familiar kitchen spice, but we rarely see fresh Sichuan pepper on display. 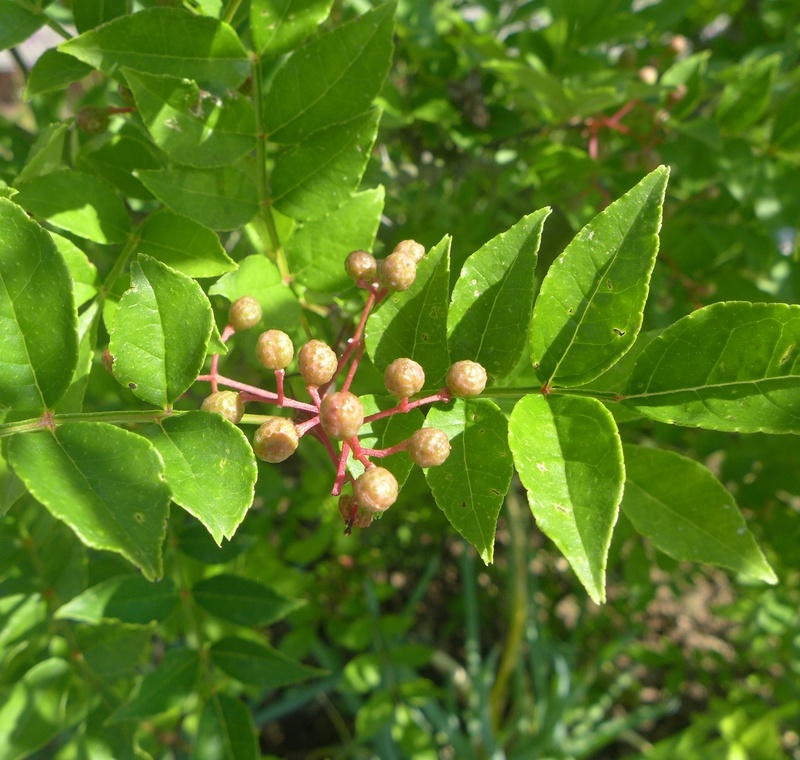 They have a refreshing lemony flavour, which is not surprising as the shrub giving Sichuan pepper, Xanthoxylum simulans, belongs to the citrus family (interestingly, it is not related at all to the black/green/white pepper plant). 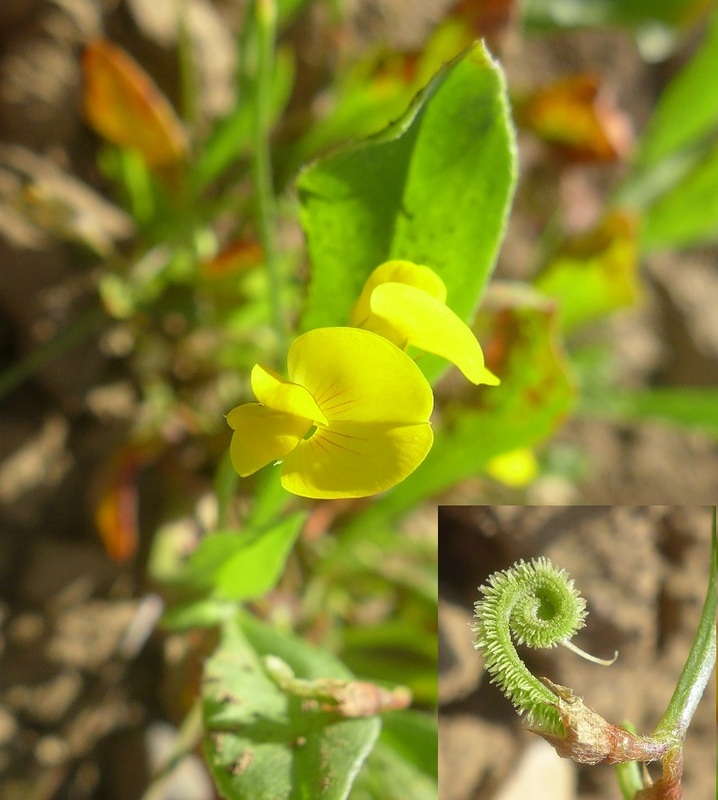 Two more interesting plants, the Prickly Caterpillar (Scorpiurus muricatus), a tiny legume whose hairy pods are eaten in salads in Southern Europe ; and the ground apple (or ground pear in French, don’t ask me why! 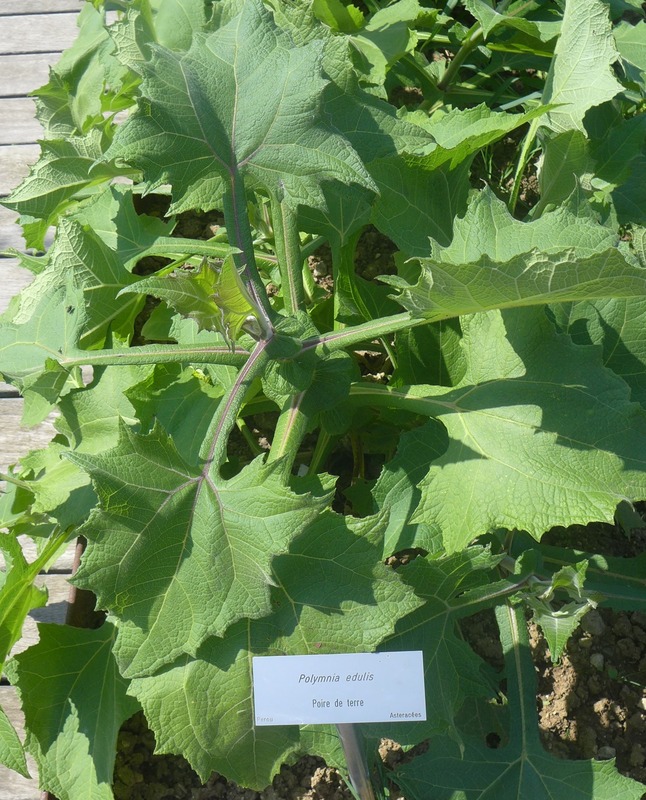 ), an Andean native with edible tuberous roots. The latter shows promising anti-diabetes effects, as it contains a sugary compound that we can’t digest…the sweetener of the future? 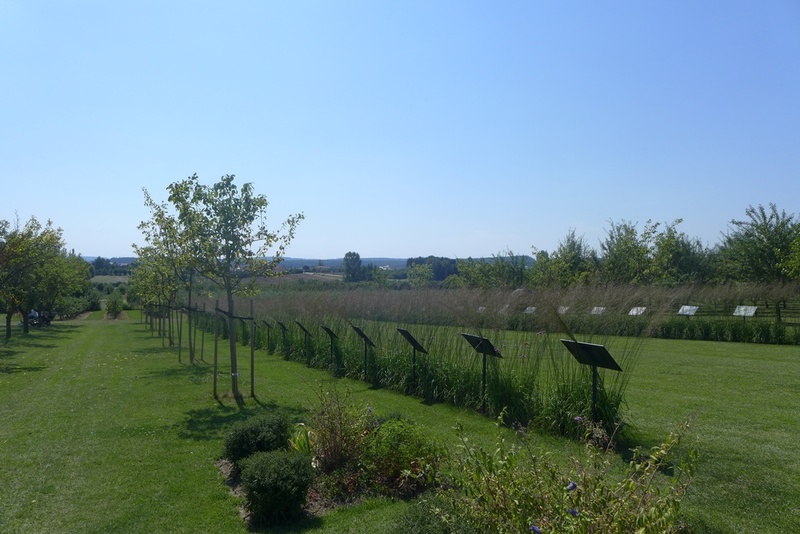 One of the biggest attractions at Laquenexy are the two indigenous gardens, which have been created in collaboration with local people. 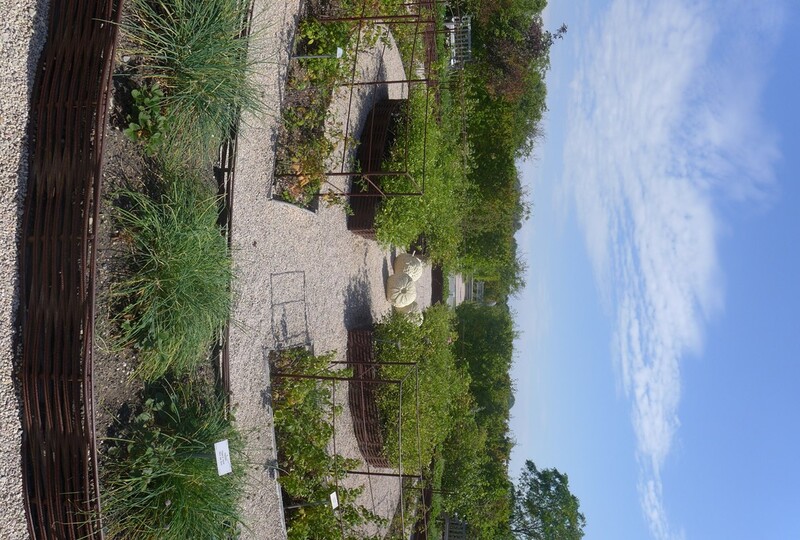 In 2010, they built a North American, “First Nations” garden called Ohtehra (“root”) with a team from Montréal Botanical Garden. 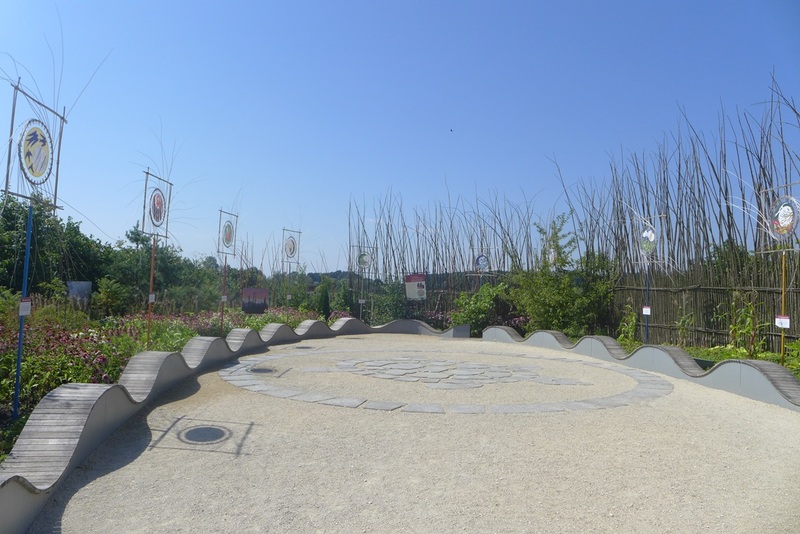 The centre of the garden, or “Square of the Great Turtle” represents the creation of the Iroquois nation, a turtle rising from the sea. 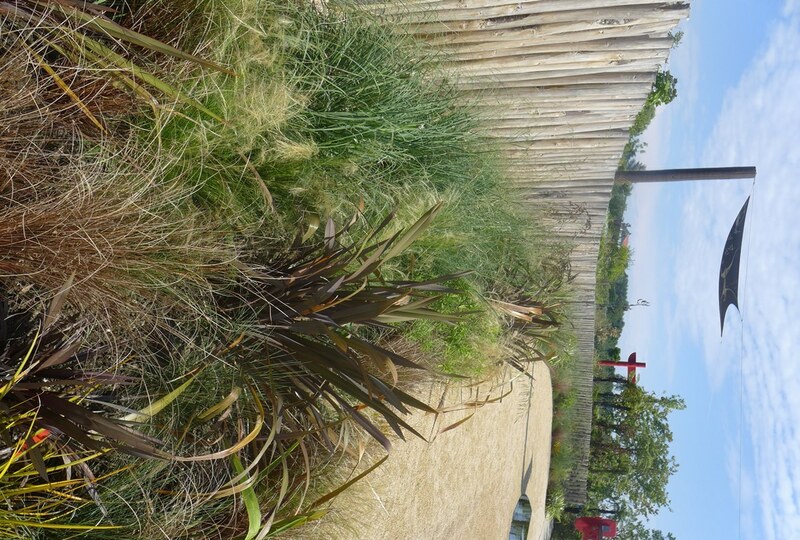 In 2013, it’s New Zealand’s turn, with a specially designed Maori garden, Te Putake. 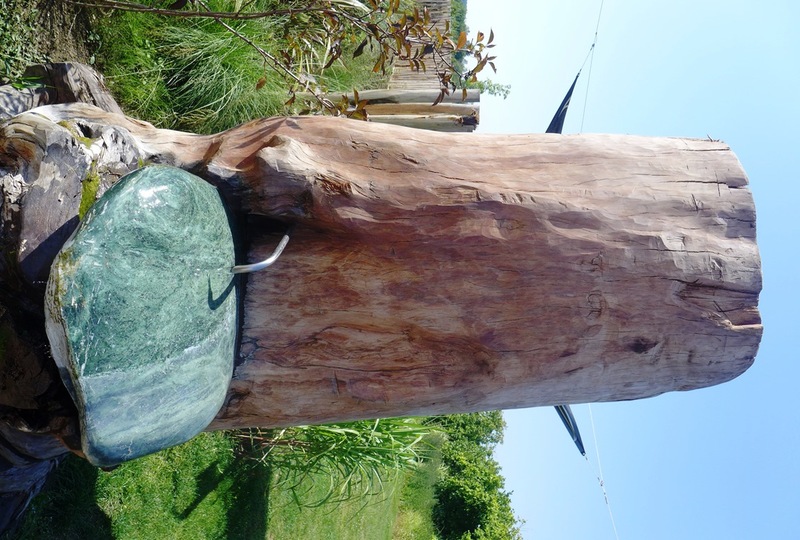 Two symbols have been brought to the garden and reunited in a sculpture : the pounamou, a type of jade which is considered sacred in New Zealand ; and the Kauri (Agathis australis), a protected Araucaria relative growing in a limited area on the Northern Island. It is an ancient tree, and many semi-fossilised trunks have been discovered in the past decades. The one displayed here is thought to be 51275 years old! 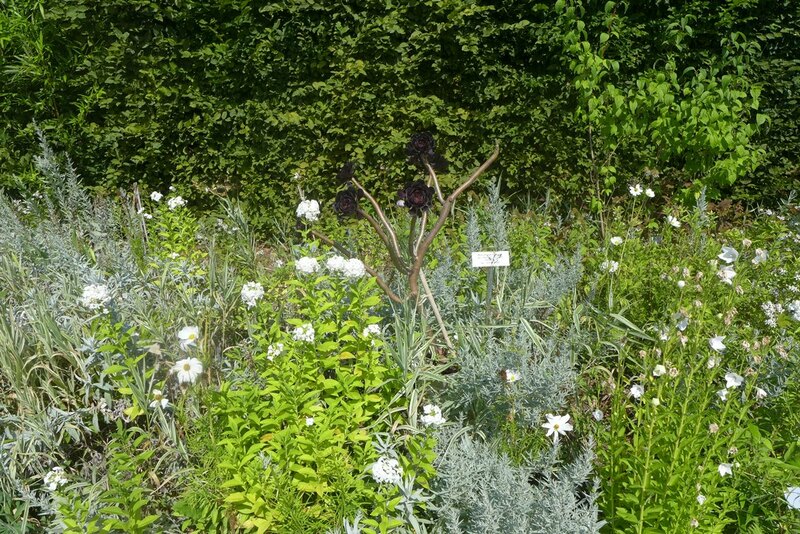 Traditional planting methods have been recreated in the garden. 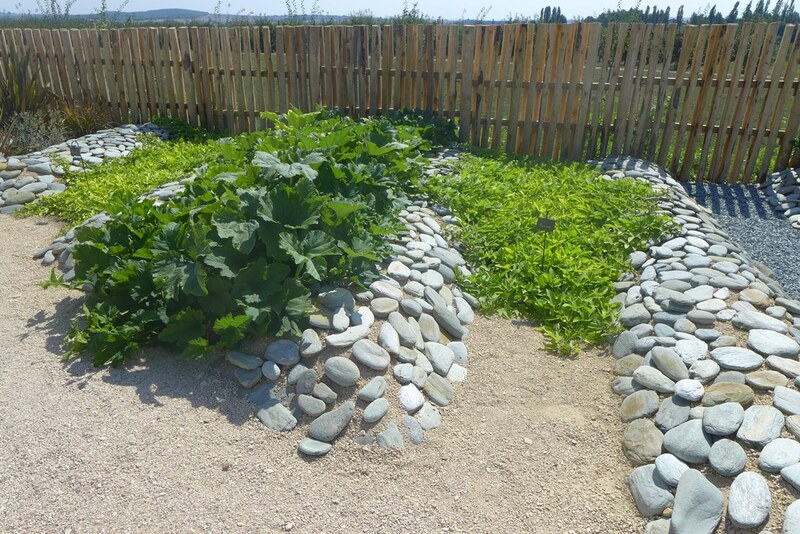 Here, vegetables are grown between mounds of rocks which are warmed by the sun. The creeping plant on the right is the sweet potato (Ipomoea batatas) also known as kūmara in New Zealand. 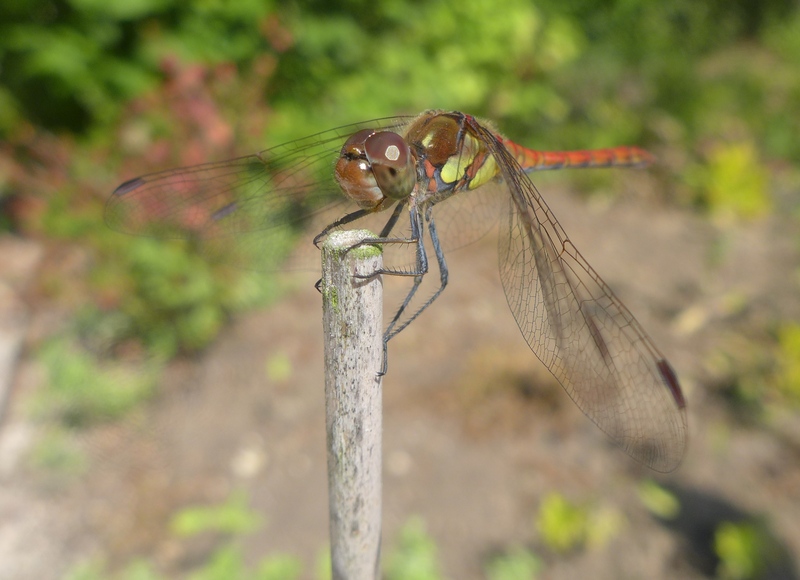 I hope you enjoyed the visit…it’s certainly a change from English gardens! 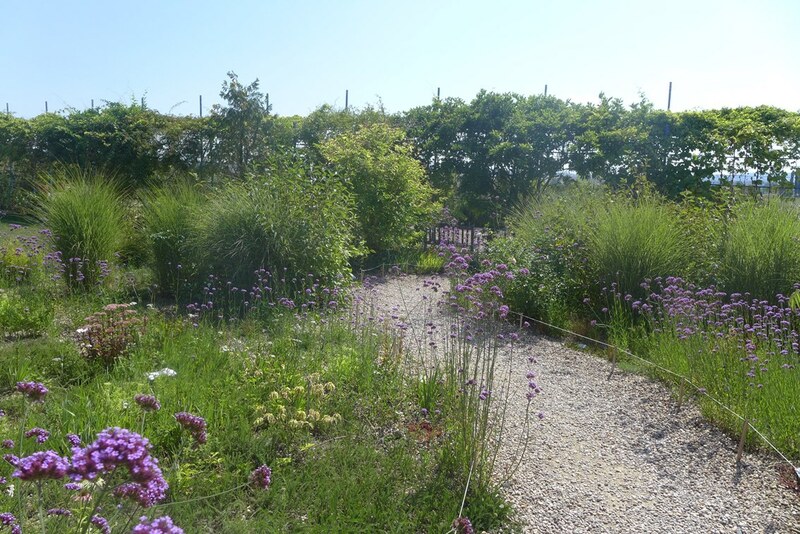 In my opinion the garden as a whole still looks a bit young, but the team has plenty of exciting projects to come, and I look forward to seeing it again in a few years.